The Index continues a corrective movement. 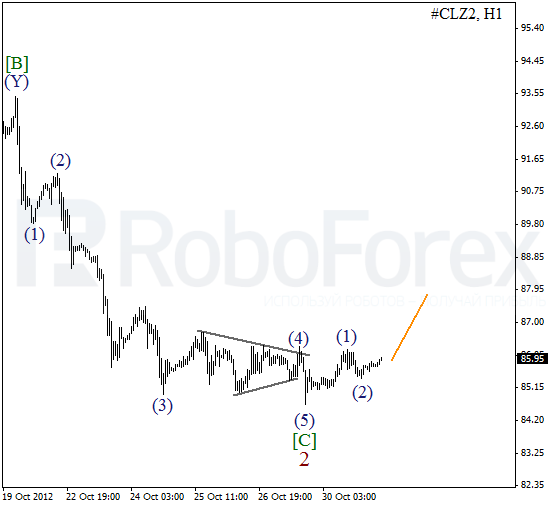 We may assume that wave  is taking the form of double zigzag pattern. Most likely, the instrument will move upwards a bit during the next several days, but later we can expect it to start falling down again. 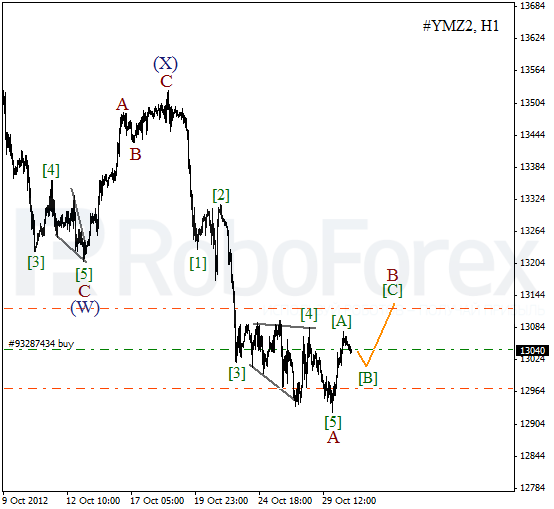 As we can see at the H1 chart, the price formed divergent horizontal triangle inside wave  of wave A. Yesterday the instrument formed an initial impulse inside wave [A]. In the future we can expect the market to grow up inside wave [C] of B. 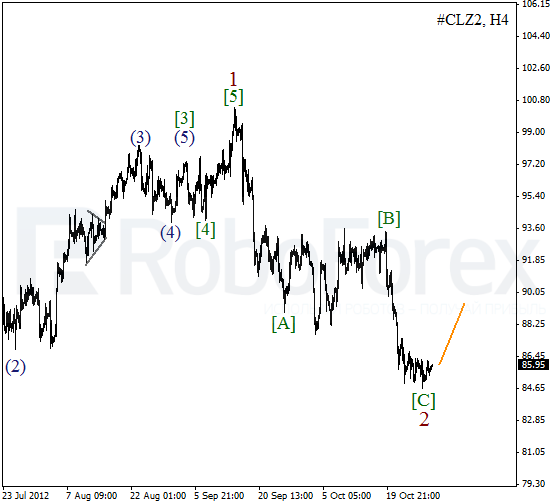 We may assume that Oil finished zigzag pattern inside wave 2. On the minor wave level the price is completing an impulse inside wave [C]. Most likely, in the nearest future the instrument will start forming an initial ascending impulse. More detailed wave structure is shown on the H1 chart. 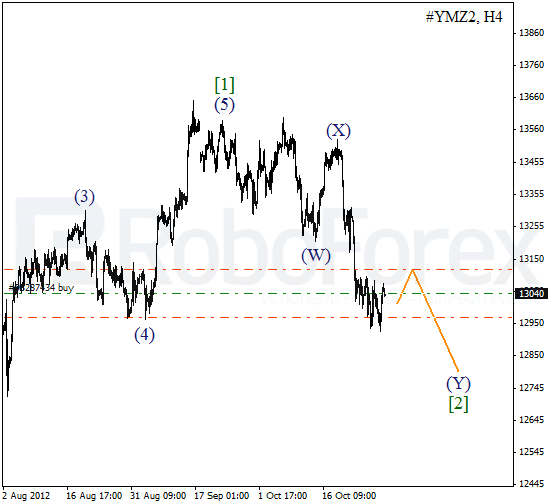 We may assume that yesterday the price formed an initial impulse inside wave (1). It looks like Oil has already completed a local correction, so we can expect the price to start growing up and form the third wave on Wednesday.